xBee Adapter is a compact USB to serial adapter equipped with BEE (20pin 2.0mm) sockets and integrated FT232RL IC. It can be used for programming or communicating with xBee modules. The adapter supports xBee interface (X-CTU). It can also be used as a USB-TTL adapter. xBee Adapter is the easiest way to connect the xBee module to a PC via USB port. 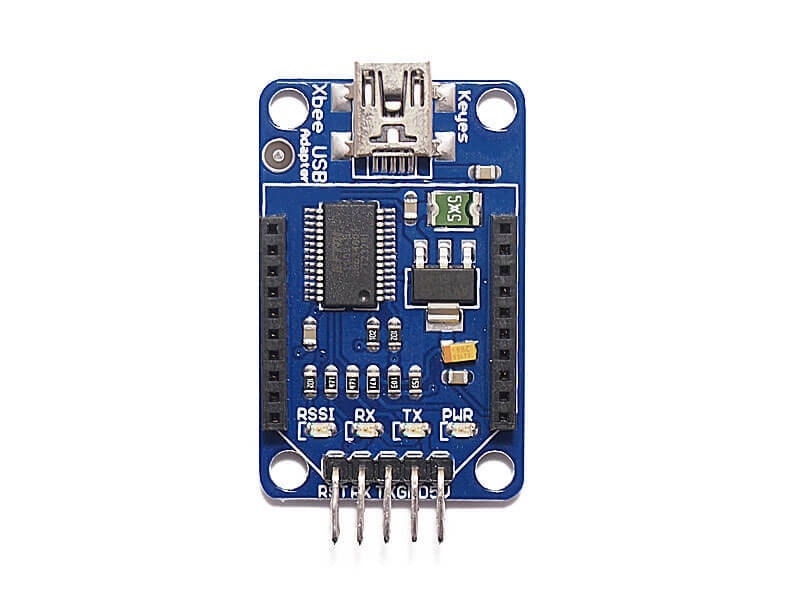 It works with all xBee modules including the Series 1 and Series 2.5, standard and Pro versions.